It’s all about creating an atmosphere, your own hidden treasure, by transforming your home from darkness to light. Let Enlightened Designs help you create your outdoor paradise. We can handle any project from your office to your outdoor patio. 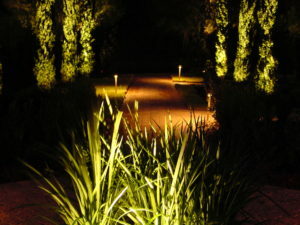 Enlightened Designs prides itself on customized landscape lighting plans that are designed specifically for your home and high standards of quality. Some techniques that we commonly use are outlined below.